The information, inspiration and registry must-haves new mamas need, straight from moms who have been there. 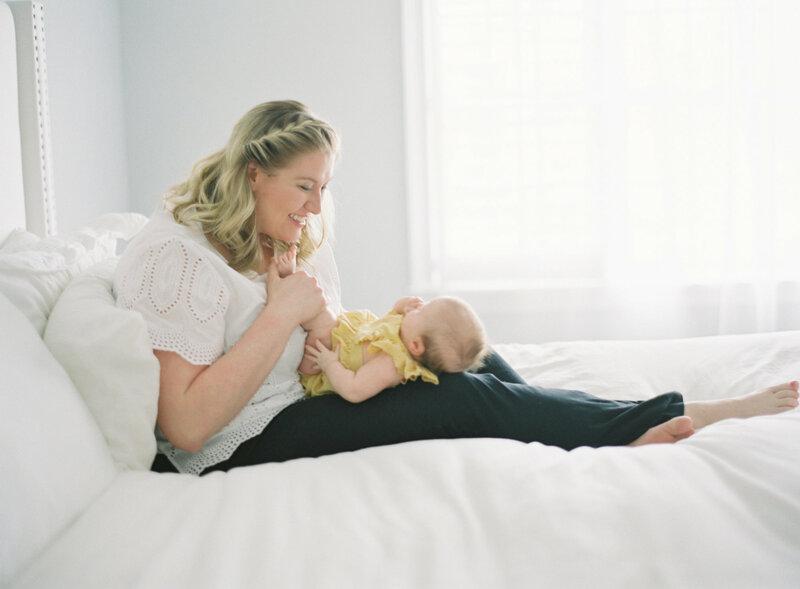 Many of the most beautiful bonding moments with baby take place in the nursery. Here's how to make the space itself beautiful, too. Nothing can stop you, mama, especially when you're armed with an amazing stroller. Here are our favorites to suit all of your get-out-and-go needs. When you're a mom who is always on the move, being confident that your baby is safe on the roads is priceless. Here are our top mama-approved car seats. Breast, bottle or both? Whatever you choose, no one knows how to nourish your baby better than you, mama. Here are a few of our absolute favorite staples to support you along the way. Babies need clothes. And, let's be honest, mama's going to take a lot of pictures. Might as well make those outfits changes as cute (and affordable!) as these. My baby: I know you’ll leave one day, but can you promise to always need me (just a little)? Toys and activities reward your baby's curious mind—and you, too, as you watch their eyes light up. These are our favorite toys for encouraging imagination and discovery. Could the key to better play be providing fewer toys? Who knew that the path to a clean and organized nursery could look so lovely? Keep the nursery tidy with these essentials you can trust. Baby's changing table is one of the hardest working surfaces in the house. Make your job a little easier with these tried-and-true diapering essentials. Baths have never been more adorable—or sweeter smelling. These are our favorite bathtime essentials to keep them fresh, clean and oh-so soft. The essentials are, well, essential. But a splurge gift is one you'll really remember. Send this little hint-hint to groups of friends who may want to go in together on the purchase.